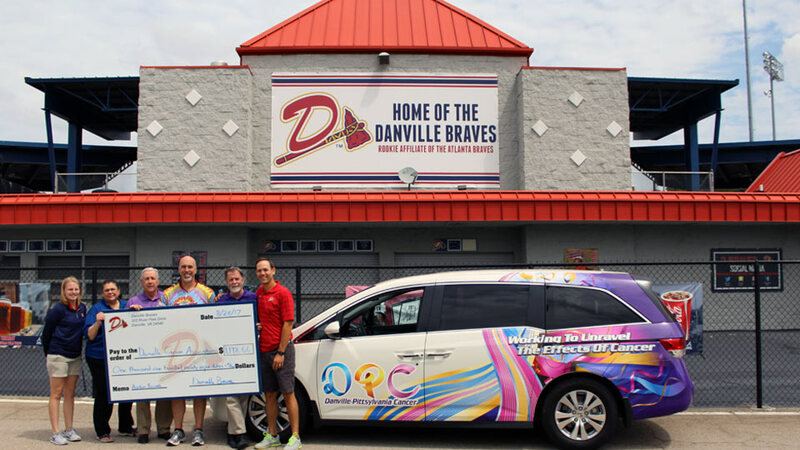 DANVILLE, Va. - The Danville Braves presented a donation of nearly $1,200 to the Danville-Pittsylvania Cancer Association Monday afternoon as part of MiLB's CommUNITY initiative featured throughout the month of August. The D-Braves raised $2,397.32 from the auction of game-worn cancer awareness jerseys. The proceeds were split between the Danville-Pittsylvania Cancer Association and the Centra Foundation. "We're happy to support the Danville-Pittsylvania Cancer Association and the support they provide local cancer patients," said Danville Braves General Manager David Cross.